For my schedule of the project, have a look at the announcement here. 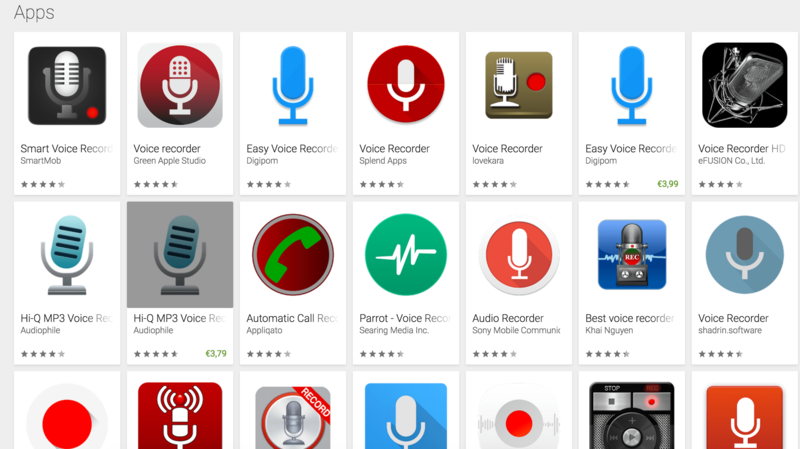 I took a quick look at the main competitors a voice recorder app has using Google Play searches for “Voice Recorder” and “Audio Recorder”. As I already stated in the previous post, there’s a lot of competition.